This unique squash was first cultivated in Mexico, where it was a favorite among the Aztecs and Mayans, but now is grown in warm regions across the hemisphere. 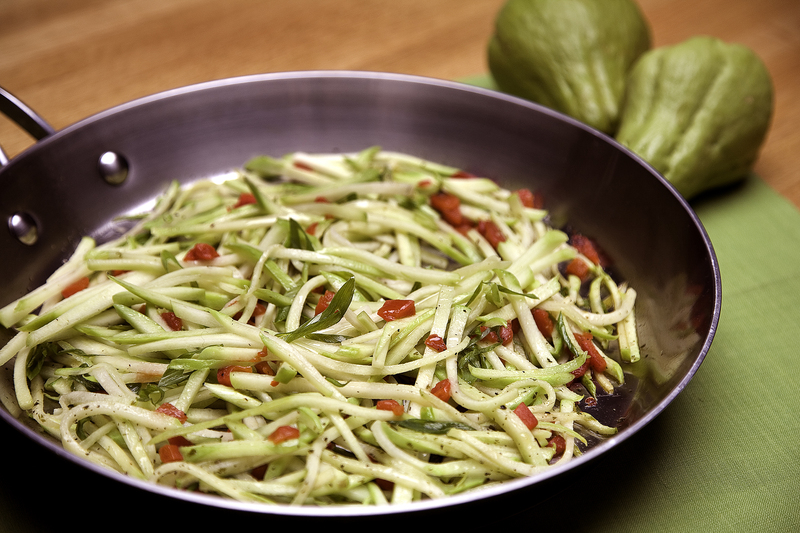 At The Fort, it is one of our preferred vegetable dishes, with an appealing texture and deep, starchy flavor. Cut the chayotes in half, lengthwise. Slice the halves lengthwise into ¼ inch thick slices. Cut the slices lengthwise into thin strips. Place a large skillet over medium-high heat. Add the butter. Once the butter is melted, add the scallions, roasted peppers, chayote and cilantro. Sauté for 2 minutes, until the squash is tenderly crisp. Season with salt and pepper before serving. 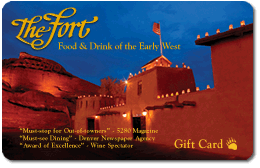 Fish was often a welcomed change for the mountain men and explorers who traveled the West. The western streams and lakes provided trout, whitefish, catfish, sturgeon and other species that were either pan fried or broiled on sticks over campfires. Trout remains a popular fish throughout Colorado, as it is abundant in lakes and mountain streams. Reserve 12 of the largest mint leaves. In a small bowl, mix the rest of the mint with olive oil and salt. Using the back of a spoon, mash the mint leaves so they are mixed with the oil. Fill the cavity of each trout with the oily mint leaves. 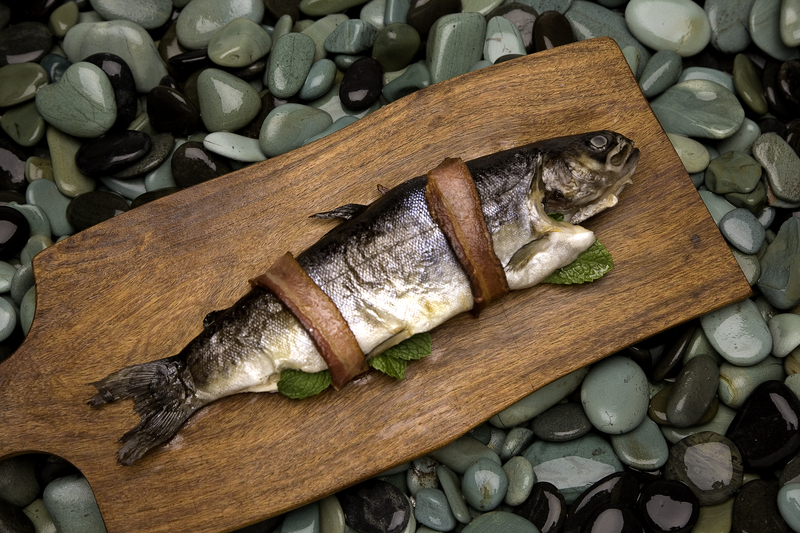 Arrange three of the reserved mint leaves on each trout, and bind them to the fish with two strips of bacon. Secure the bacon with a toothpick. Prepare a charcoal or gas grill to medium-high. Cook the fish until the bacon is browned and crisp, about 6 minutes per side. Before serving, remove all mint leaves from the trout. ‹ Cookies for Santa – and Your Whole Family!